It’s time to forgive your inner teenager. I’m simultaneously excited and disheartened about our country’s response to our teenagers speaking out about their fears, views, safety, and values. I’m glad that our youth are recognizing their power, and taking actions to make their needs known. I am impressed by the millions who have joined the cause and are trying to find ways to support our children and keep them safe. I am disheartened by how some have publicly humiliated and disregarded them, dismissing them as ignorant based on age alone. This form of prejudice claims the teens are too young to organize, not old enough to have their own voice, accuses them of being puppets to a political cause or worse, merely actors. All this dismissal of our young citizens only shows me that the ones doing the ageist dismissal have some serious inner work to do. I personally learned this the hard way. When I went to school to become a teacher, they asked me what grade I wanted to teach. 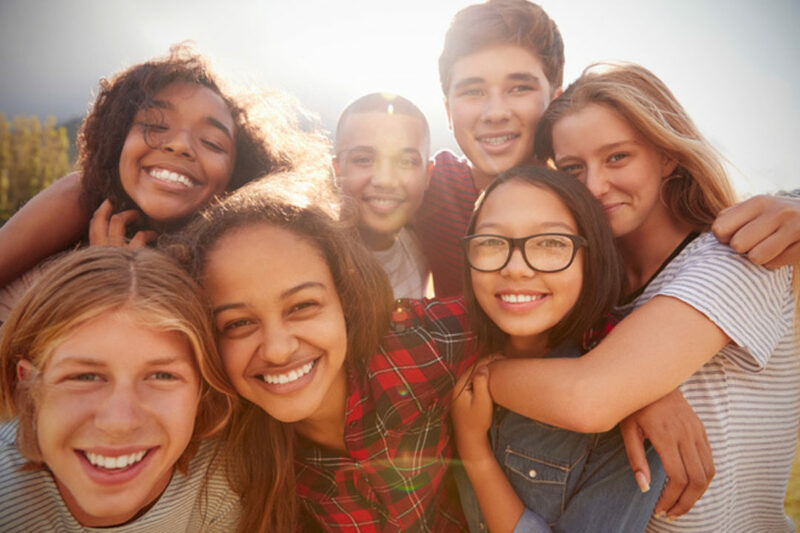 I said, “Anything except teenagers or adolescents.” Of course, I thought that there was something wrong with teens and pre-teens, which was why I didn’t want to work with them. What I discovered, however, was there was something wrong with me, not them. I had had a happy childhood and enjoyed school—until I reached the very ages that I later did not want to work with. This was no coincidence. My pre-teen and teen years were fraught with trying to fit in, feeling like an outcast, struggling with self-worth, relationship woes, and so on. My unhealed, unresolved emotions from my own teen years were what I was not interested in facing; it had nothing to do with the external teens. When the job I ended up getting was in a middle school full of pre-teens and young teens, I continually faced my own unfinished business. Painfully, I eventually realized that in order to be effective with the teens outside of me, I needed to do some healing work on the teen inside of me. I set about journaling with my non-dominant hand and voice-dialoging with my inner teenager. I hashed out beliefs, pains, shames, rejections, and choices that didn’t serve me, and practiced forgiveness, taking responsibility and building “her” self-esteem. When I was done, the primary age I wanted to work with, indeed loved working with, was teenagers. In working with teens on entrepreneurial skills and personal success skills over the last 25 years, I have seen this phenomenon again and again in the other adults encountering the teens. And now, as America’s youth are becoming outspoken, it is blaringly obvious when a public figure or talk show host has a wounded inner- teenager. And they are now, in turn, wounding actual teenagers. We may have no power over healing the likes of Rush Limbaugh (who started his radio career as a teen much to his father’s chagrin), nor anyone else for that matter, but we do have the ability to heal ourselves. First, do an honest personal inventory. Ask yourself, what age of child or teen would you prefer to avoid? Babies? Five-year-olds? Teens? Once you have identified the age(s) that you are least comfortable with or that you dismiss, explore what happened in your life at that same age. Perhaps even more revealing, explore the beliefs you made up at those ages. It is my observation that as we grow up, we make up stories about things that happen, and those stories become beliefs—beliefs that may not actually be true. Take a close look and notice how those beliefs, regardless of truth, impact how you see others and interact with them. Evaluate whether these beliefs are actually true and whether or not they are serving you. Consider other possibilities that may be closer to the truth. Look at messages you may have posted, edit yourself for prejudice and remove anything that dismisses others simply because of their age or insults them. You don’t have to attack the messenger, just because you don’t like the message. Forgive your inner teenager. Give that part of yourself credit for surviving, for persevering, and for managing. Help that part of yourself to make new meaning, new beliefs, new decisions and give him/her cause to forgive you. You may realize that the way you see the teens outside of you is a direct reflection of the way you see the teen inside of you.